On Monday, I filed a federal civil rights lawsuit against the City of Dearbornistan Heights. The City discriminated against me, violated my civil rights, and denied me Constitutional right to equal protection under the law because I am not Muslim, male, Arab, and foreign-born in a Middle Eastern country AND because I am a Jewish female American-born United States citizen. On top of that, the City created illegal new laws that favor Muslims and Islam above all others, a major violation of both the Establishment Clause and the Fourteenth Amendment right to Equal Protection under the law. What happened to me is a preview of what will happen all over America, as the Muslim population increases and we continue to give up freedom and democracy because Muslims here demand it. I need your help to turn the tide. Here are the details on what I’m doing and what you can do to help. The next time you hear anyone in the media or any politician claim that there is no sharia (Islamic law) in America, think of my lawsuit, Debbie Schlussel v. City of Dearborn Heights et al (read the federal civil rights complaint filed by my awesome lawyer Dan Lehman). It is Exhibit A that Muslim-controlled American cities or those with large Muslim populations (and spineless politicians eager to please them) do, in fact, practice sharia; do, in fact, engage in codified, established discrimination against non-Muslims and in favor of Muslims; do, in fact, choose Islamic law over laws made through the democratic process; and do, in fact, choose the koran over the United States Constitution. What Dearbornistan Heights did to me strongly illustrates all of these in action. In 2015, a Muslim woman named Malak Kazan filed a lawsuit against Dearbornistan Heights, a metro-Detroit-area municipality that is home to one of the largest and most concentrated populations of Muslims outside the Middle East. It is also home to the Islamic House of Wisdom, believed to be the second largest mosque in North America, the imam of which was the spiritual leader of Ayatollah Khomeini’s Iranian Navy. 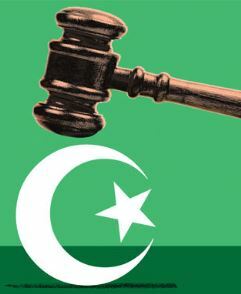 The city has a Muslim Judge, David Turfe, who openly supports the terrorist group Hezbollah (which murdered hundreds of Americans) and a Muslim activist–Dave Abdallah–among its City Council members. Ms. Kazan was arrested after she was stopped by police and it turned out that she was driving on an expired license and there were two warrants for her arrest. The police asked her to remove her hijab–the Muslim headscarf–for mug shots. They videotaped the process. Kazan sued over this and the city settled the suit with her. I filed several Freedom of Information Act (FOIA) requests for the settlement agreement, Kazan’s mug shots, the video of the booking process, and several other related documents. Dearbornistan Heights denied my request for the booking photos and the complete video, in violation of Michigan public records laws. Yet, Amir Makled, a Muslim male Arab (who was reportedly born in Lebanon), asked for the same items–the booking photos and video–and the City granted his request. After all, he is of the preferred religion, gender, ethnicity, and national origin under Islam. On top of that, the city charged the male Muslim Makled only $15.00 for his request. I was asked to pay $24.00 for a lot less. After all, non-Muslims always have to pay the jizya (the dhimmi tax assessed on non-Muslims under Islamic law). As their excuse for not providing me the requested materials, Dearbornistan Heights cited a “right to privacy.” But the Michigan Court of Appeals has repeatedly ruled, including in three published decisions, that there is NO right to privacy in booking photos a/k/a mug shots. The City of Dearbornistan Heights and its officials and lawyers know this, but they don’t care. Islamic law a/k/a sharia rules supreme there. And that’s why my lawsuit needed to be filed . . . in addition to the fact that I was discriminated against and refused service while a male Muslim Arab got the exact materials I requested and was denied. During the course of my investigation, I learned that Ms. Kazan settled her lawsuit with Dearbornistan Heights for only $5,000.00. Yes, it took me to do this work because there is no investigative reporting by the mainstream media anymore. They just report what allah’s soldiers want. Period. Five thousand dollars may seem small for such a settlement of a federal civil rights lawsuit, and it is. But that was not the goal of Kazan’s suit. The goal was to create new law–law which violates public records laws in the State of Michigan, law which gives special treatment to Muslims above all others. As part of Kazan’s settlement, the City of Dearbornistan Heights and Kazan’s Muslim lawyer created a new policy that only applies to Muslim women, not women of any other religion or women who are bald because of cancer treatments. The policy allows the City to keep mug shots of Muslim women secret and not provide them in response to FOIA requests for public records. The policy is illegal under Michigan law. As I’ve noted previously, Michigan courts have repeatedly ruled that there is NO right to privacy for mug shots and any FOIA request for them MUST be honored. Further, Michigan FOIA laws are state statutes, which can only be amended by another state statute, through action of the Michigan Legistlature or a successful statewide ballot initiative. 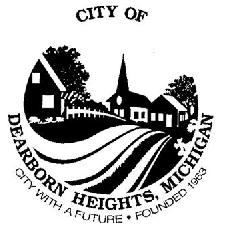 But the City of Dearbornistan Heights and its officials don’t think they have to abide by Michigan’s (and America’s) democratic processes. They think they can hold back-door, smoke-filled-room sessions and make their own laws which comply with sharia, but not the Michigan Constitution. Further, the Establishment Clauses of the U.S. Constitution and the Michigan Constitution prohibit the establishment and promulgation of laws that benefit or favor a specific or particular religion. But the illegal Dearbornistan Heights law does that–giving special privileges to Muslim women and nobody else. That’s also sexist and gender-discriminatory. For all these reasons, I sued the City of Dearbornistan Heights and its officials, Mayor Daniel Paletko, Policy Chief Lee Garvin, and the City’s lawyer, Gary Miotke, who knew the law and about the FOIA request of the Muslim male that was honored, but denied my virtually identical request anyway. You may think this is a “little” thing, but in fact, it’s very big. It’s illegal laws, like that of Dearbornistan Heights, and discriminatory treatment against me–again, like that of Dearbornistan Heights–that, little by little, are a capitulation to Islam and away from liberal democracy . . . and America as we know it (or, at least, once knew it). And we must fight these things and stand up for our Constitutional rights. I could have done this lawsuit on my own. There is very little money involved, even if I win, though this is not about money. Michigan FOIA laws limit penalties to under $10,000, though I deserve more for the federal and state civil rights violations perpetrated against me, merely because I am non-Muslim, American-born, and a woman. Also, I expect the city to spend enormous amounts of taxpayer money to play dhimmi politics with this, keep the Muslim population happy, and buy their votes. I think it’s always best to be represented by a good lawyer. That’s what I tell my clients. So, I hired my friend and trusted lawyer, Dan Lehman, to represent me and file this case. Dan is an excellent attorney, I am proud to have him representing me, and I cannot wait for this case to proceed. Liberty, freedom, and democracy depend on it. America’s future depends on it. I have several similar lawsuits in the pipeline, which–G-d-willing–I’ll be filing in the near future. But this work takes time and is expensive. The filing fee on this, alone, is $400.00, and there are other costs associated. If you want to help my efforts–and I need your help–please contribute through this site to my Paypal account. You can either use the yellow buttons on the left for a one-time donation or monthly subscription, or you can prevent the PayPal fees by going to PayPal and sending it directly to: writedebbie@gmail.com. No amount is too small. Your support means more efforts like those described herein. Principle is expensive and costly. But it’s worth it. I’m not a big operation, just a one (wo)man shop. But I think I do more to fight the encroachment of Islamic extremism in America than others who shriek on FOX News and/or demand money to fund billboards and bus ads promoting their personal websites. Those attention-whores have done nothing to actually fight the encroachment of Islam on America. I’m doing it, though, through this and other lawsuits and many other things I’ve done that you’ve read about on this site over the years. And I’ve gotten a lot of Muslim death threats in the process. But I proceed because it’s important work, and we cannot cave to extremists. This is America. Fight for it. I’d really appreciate your support and help in my efforts. My operation is lean and mean and gets things done. Please help me fight the dhimmi power. In case you are wondering, Gershwin A. Drain is the Judge in our lawsuit. He’s an Obama appointee, but my experience is that he’s very fair. He recently presided over the prosecution of Palestinian Muslim terrorists and murderer Rasmea Odeh a/k/a Rasmieh Odeh. I just donated and shared this on Facebook. Love to make a small donation, but Paypal wants me to give more than my balance – too much – or use a debit card – not theirs – and I’m not budging. P.S. – double thumbs up Deb! With Paypal, you can effortlessly donate money to Debbie directly from your local bank account without charge. GoFundMe is a great resource. I just made a donation and will donate more when I am able.Thank you for taking a stand.You do so much more than many of those self promoting phonies in the media.God bless you Debbie. I used paypal and it worked for me. Speaking of self-promoting phonies – what have “Scamela” Geller and “Slobbert” Spencer done to stop the encroachment of sharia in this country other than to whine about it? No need to answer – that’s all rhetorical. And the answer in any case can be found in prior articles here. And it’s not just madness like this that should be stopped by hook or crook. “Transgender” bathrooms, for example, effectively discriminate against the 99.7% of people who aren’t sick in the head to the extent they are – and those 99.7% have had their rights likewise usurped and eroded – to say nothing of their safety seriously compromised and their lives possibly put in mortal jeopardy. As for donating – if I could, I would, but I don’t even have enough to do so. But it is a fight that should be fought nonetheless, for all of us. Ms. Schlussel, thanks for the precise information, and I’ll do everything I can to donate to your “pay-pal” (as someone said, you can use a “GoFundMe” source for such situations) to help you out on an economic basis to fight this battle. This may not involve me personally, irrespective, on a philosophical degree, this is about the nation at-large via extrapolations, of Muslims who’ve allegedly used and BSed the laws for their reasoning of quasi sharia-compliance, etc. and ignoring the US Constitution whilst in a court room. This posting merits triple digit responses of praise with offers of $ support from all able to do so. G-dspeed , Debbie! May you remain for many years to come one of the handful who get it….and act. God Bless! Dear Debbie thanks for the info! we Love America! We Love Israel! We Love our wonderful Police Officers in America!Trully yours Tirdad. Yes Debbie, as soon as I get home from work I will make a donation. Thanks for your noble work! I’m like Concerned Patriot – would like to contribute anything I could, but am currently b/w jobs and therefore unable. But I certainly fully support this (series of) move(s): something that is long overdue. Hate to break it to you Debbie but the power “elite” ignore the constitution and bill or rights all the time and make illegal laws because they can, one example being the 1986 machinegun ban (the way it was implemented was procedurally illegal). Then there’s 1968 gun laws (based off nazi gun laws btw) and the 1930s gun bans were also made by “progressives”. And before you say “don’t care”, c’mon wouldn’t you want to own an Uzi? The islam loving marxists left AND right could pass a law officially nullifying the constitution and bill of rights and the sheeple would just be good sheeple until the free swag stops flowing. Important posting, and I wanted to forward it to friends and relatives to help them wake up to what is going on. I did not, however, because they would not have taken it seriously — they would have dismissed this entire blog entry as “juvenile” and “unnecessarily incendiary” simply because of the repeated use of the word “Dearbornistan.” Yeah — I get why you use it — but it delegitimizes your very legitimate argument. May I suggest that you ditch the name calling so as to not distract from your more important message? Have to disagree with you, Warren — Debbie: continue to use “Dearbornistan,” just as the formerly great city of London is now virtually nothing but “Londonistan.” Entirely appropriate and it fits perfectly! You are a disgusting human. How could you wake up every morning knowing that you are generalizing an entire religion? A religion that’s made up of billions of people across the globe! Islamaphobes like you should be ashamed of yourselves. If you actually did research on the religion of Islam and read the Quran yourself then you would know that it’s nothing but a religion of peace and love. Drive yourself with hate if you will, but know that you won’t get anywhere with it. Love trumps hate. People like you call it “bigotry”; I call it a conclusion. And I have concluded, with ample evidence, that Islam is religious fanaticism that rationalizes murder of the innocent. No you are the disgusting human!Debbie is a patriot for standing up to your ilk and your religion of hate.Why are you all silent when some Islam filth slaughters innocents. Lenny is nothing but a bot, or a 14 year old named Achmed. Take a look at the lower case name. Now, plenty of people have lower case handles, but in this case, it’s a bot. The second clue is the language used, the sweeping generalizations, the incorrect statement of “billions,” rather than 1.8 billion. It can come from individuals, or individuals sending out hundreds, even thousands of attack posts like this. It doesn’t come from that many people most of the time. If “lenny” was real, he’d be less general, and looking to tackle one or more of the regulars on principle, and get in to some sort of entangled “discussion” of the matter. This is nothing but an “Islamic Defense Post” coming from BIC, or Bot Islamic Central. There’s also BLT, or Bot Left Trumpattack, for those with Trump Derangement Syndrome. Then there’s BALL, Bot All Loony Leftists, who come out to attack any and everything based on “LGBTQ issues,” “social justice,” environmental issues, you name it. Lastly, we have BULL, Bots Under Leftist Leadership. This would be propaganda like that pushed under Soros or Soros type movers and shakers like Musk, Zuckerberg, etc. Those who use organizations like Media Matters, etc., to have their minions bot the world. This includes the people who pass around ridiculous “news” stories on Facebook, The Comedy Central watchers, and twisted news stories and opinion pieces that inhabit what is still largely referred to as The Mainstream Media. That’s it for now from TRDB (The Resident Dumb Blond[e]). I’m not really The Village Idiot, I just play one in real life. Awesome post Afredo my friend as usual. Spelled out, might your Bot-om line be: If lenny were to sneeze real hard, his brain might fall out, altogether? ROTFLMAO!!! Why yes, I guess so. Not to drop a name..Well, okay, yes, to drop a name…… Are you familiar with the Ambrose Bierce Devil’s dictionary? You might consider a similar collection of your own clever “sty-lings”. A vague recollection of hearing about it. May have to research that further at some point. Thanks for the kind words. Great points made about little lenny the liberal loser.I believe if lenny were to sneeze the snot that would come out of his nose would be his brain matter.Saying that the religion of Islam is one of peace and love is laughable.Clowns like him has been spouting this gibberish for years.They like using words like “inclusion”,”acceptance” and “multiculturalism”.Yet they are the first ones to whine and be offended by a few Christmas decorations in a public place. Sharia law threatens us all.The Muslims want to and will take over this country piece by piece if we don’t take a stand.I admire Debbie so much for bringing out this lawsuit-she is our voice.And little lenny Debbie has accomplished so many things in her life,maybe you should read her bio sometime. Thank you for your tireless efforts Debbie. You’re the best! As you point out, this is huge, dollar amounts aside. Don’t let a single point slip by. No compromise, no mercy. I made a nice pretty donation to help out. This should be fun watching you and Dan hammer these people. Delicious. Keep us posted on the financial needs and I will work extra hard to help out. And yes, while the other media are cowering under their desks, you are out there putting it all on the line and fighting [for our lives] in person with your own intellect and courage. You are amazing and a pleasure Debbie Schlussel. Anyway to just mail you $??? Fred, Same question that you’ve asked. Perhaps a Post Office Box? Creeping Shariah – look how much has been rammed down the throats of American citizens, death by slow drip water boarding. Enough! Wish we could do something about the lawfare committed in Pittsfield Township Michigan, where the township supervisor settled with muslims who sued the township because they wanted to put in a mosque – our township supervisor, Mandy Grewal, not only caved in but threw in extra money so they can create a mini-islamic village with apartments and homes and bragged to the muslim commuinity she had gotten them more than they originally asked for. Now we have our own terrorist training center being paid for by our taxpayer dollars. It is one of the largest lawfare settlements in the U.S. and a disgrace.